Winter is upon us. In the York County area that means heating bills will climb. There are ways to keep those energy bills at lower levels. Technology in energy efficiency is growing by leaps and bounds. Keeping your home energy efficient can increase its value, as well as save you money. First, you should address obvious areas of energy waste. A lot of heat escapes through gaps around windows, doors, and even in concrete at the foundation or in the basement. Caulking these areas is a small investment for a large savings. The same can be said for insulation in the attic or roof beams. A small outlay saves lots of money. Caulking can be reduced by investing in energy-efficient windows and doors. These items can save more in cold climates. If your furnace is aging, chances are, you can probably save as much as 27% on your heat bill with a newer hvac unit. While you’re installing your new furnace, be sure to seal the seams in the ductwork. 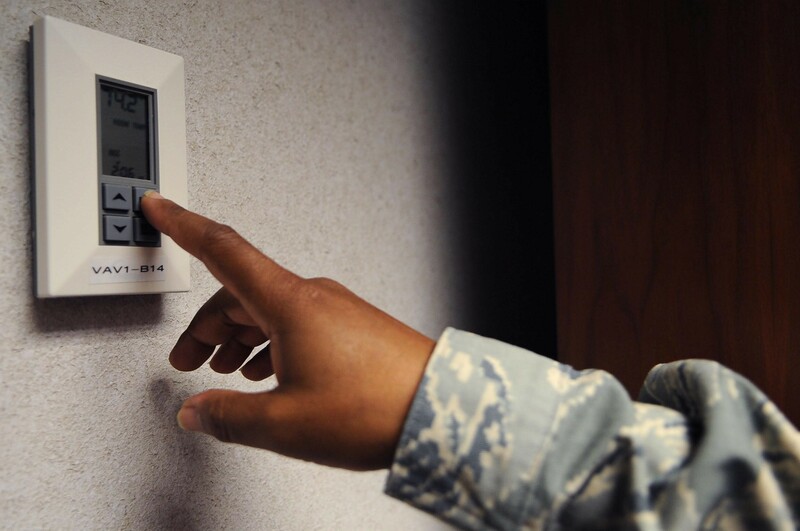 While we’re on the subject, a good energy saver is a programmable thermostat. There are even apps you can get for your smartphone to program your thermostat. This item can save about 10% of your heating bill, and possibly pay for itself in one heating season. This applies to your water heater, also. As a matter of fact, there are several avenues to take with water heaters. You can get an energy-saving tank, but that still requires a pilot light that may eat up some of the savings. An alternative is an on-demand water heater that doesn’t require a tank. In warmer climates, a solar water heater may be the better option. Technology is progressing on saving the heat from the hot water you use. It’s rather pricey right now, but expected to become more affordable in the future. Other appliances can be replaced with newer, high-efficiency models. Refrigerators are much more efficient than former models. So are dishwashers, washers, and dryers. If you’re doing dishes and laundry for children, that can add up to big savings! When solar panels were first introduced, they were expensive and not very efficient. The technology has progressed to the point that, even in colder climates, you can collect enough energy from them to make it worth the investment. The trick is strategic placement and efficient collection. Along with solar energy comes the technology on passive energy savings. You plant shrubs and trees in places where they will be a wind-break during the winter. The trick is to keep them away from places where the sun would shine in and help heat the home, as well as help prevent seasonal depression, that can emerge during the darker months of winter. Here is a link to one of many articles you’ll find online with suggestions for energy efficiency. Let us know when you’re interested in listing a home in the York County area, and we’ll be ready to help. The Jim Powers Team of local Realtors® is here for you from start to end. Visit our website to learn more, then contact us or give us a call at 717-417-4111.